Puzzle your way to great grades! What if there was an easier way to get into shape for tests? Well, now there is. We’ve got a super-fun way to get your skills tip-top. 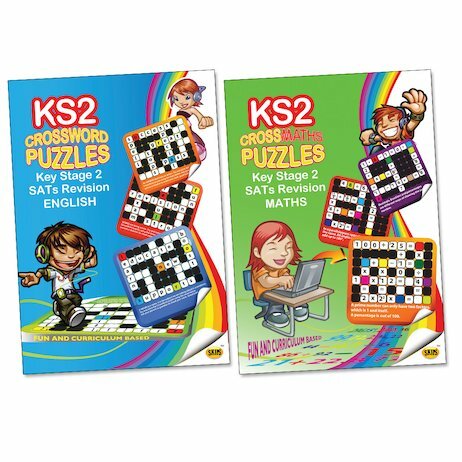 Cool crosswords and number puzzles which build all the skills you’ll need to ace your KS2 Maths and English SATs. A great exam prep tool and general study help, these refreshing books are a quick, easy and fun way to get in practice and do your best.